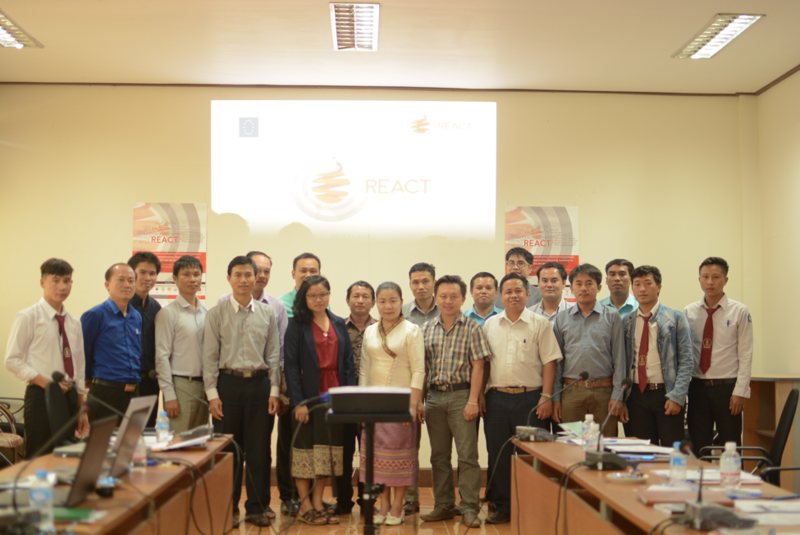 REACT Training workshop to create a climate change awareness and to increase understanding about adaptation and mitigation for 20 researchers, lecturers and students took place on the 6th of July, 2018 at Souphanouvong University. some effects of climate change such as season change, an increase in world temperature, animal migrations, droughts, floods, bush fires, the melt of ice sheets in the Antarctica, a decrease in agricultural production, infrastructure lost etc. climate change mitigation, maily minimising human activities which lead to a risk in harming or destroting the vulnerable ecosystem, and expanding carbondyoxite storages. climate change adaptation like there should be policies or regulations that human’s activies should be nature friendly, local people should have an access to information and help, and there should be technology that can precisely predict future disastrious phenomenon.